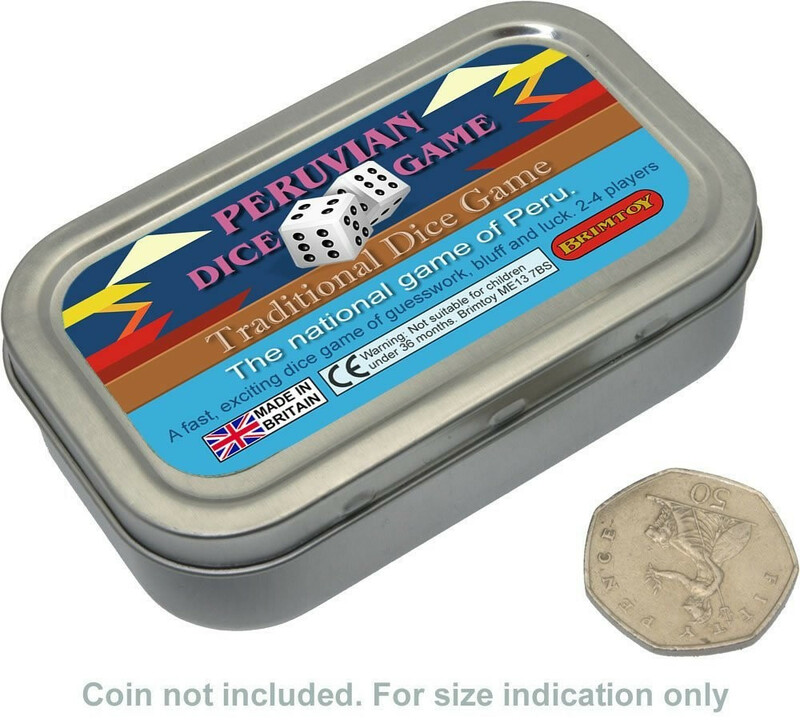 Pocket Peruvian dice game. 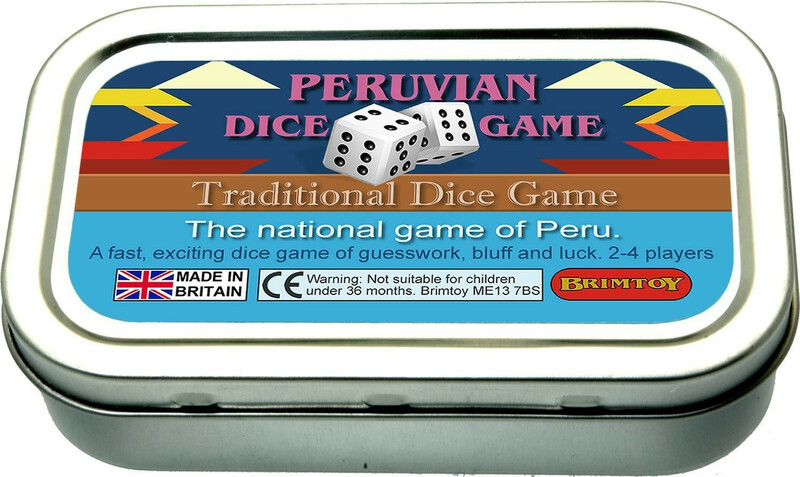 The national game of Peru. 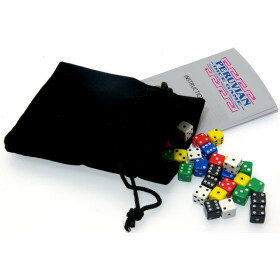 Pocket / Travel Peruvian Dice Game. 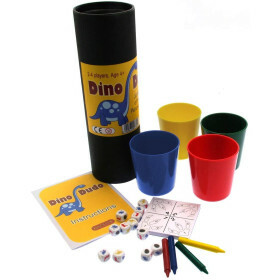 This ancient South American game is a quick, exciting game of guesswork, bluff and luck that can be played anywhere by anybody. No board, no setting up and no complicated rules. The game is also known as Cacho, Dudo or Cachito "The second most addictive thing to come out of South America!" - Stephen Fry. 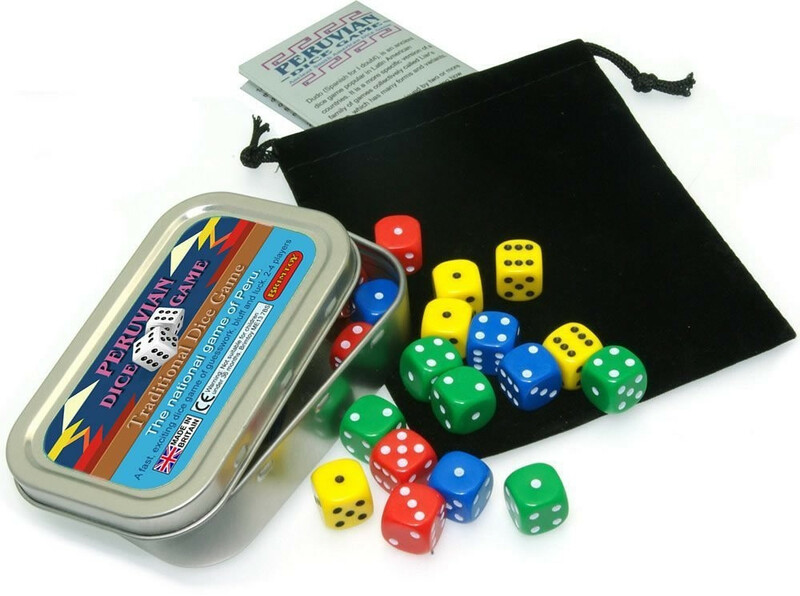 Contains 20 dice and full instructions.